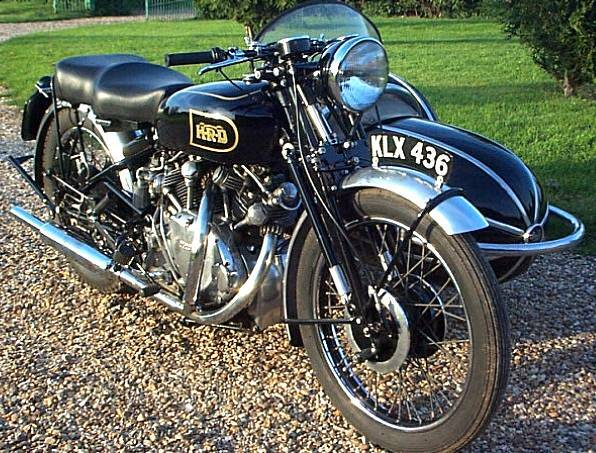 The Vincent Black Lightning was designed and built in September 1948 at the Vincent works in Great North Road, Stevenage, Hertfordshire UK between 1948 and 1952. 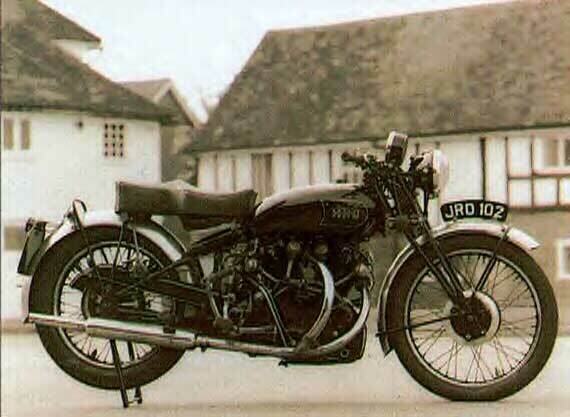 At the time the Black Lightning was the fastest production motorcycle in the world. 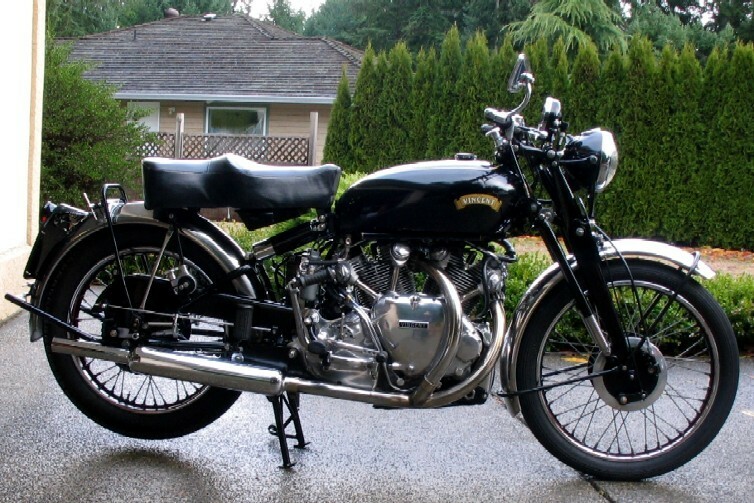 the shadow featured a mildly breathed on engine with larger carburettors and a higher compression ratio which resulted in a top speed in excess of 120mph. 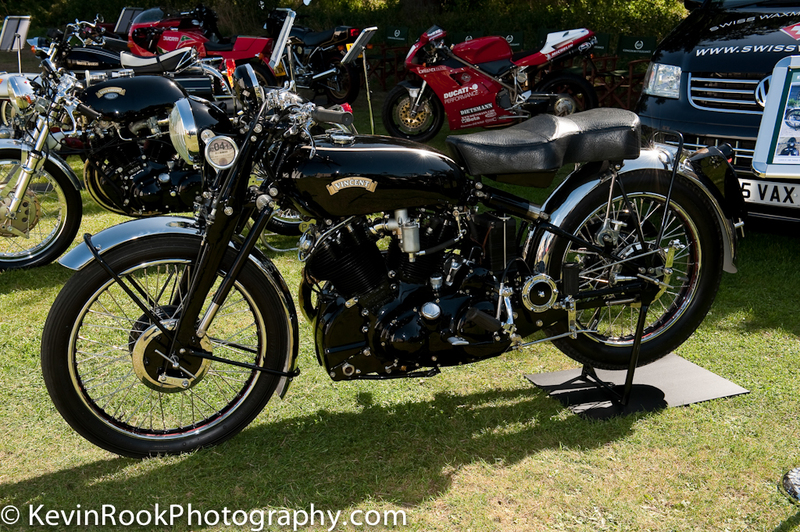 the brake drums were ribbed and the engine and gearbox were finished in black enamel whilst a 5 inch 150mph speedometer dominated the riders view. 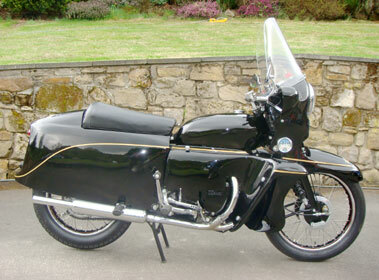 as with the rapide the series c black shadow benefited from the adoption of girdraulic forks. 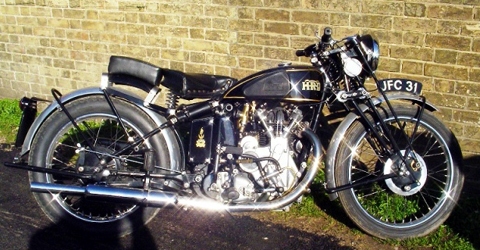 shadowised rapides, whilst not common, are a relatively familiar sight, offering the performance and appearance of a shadow for a little more than a rapide. 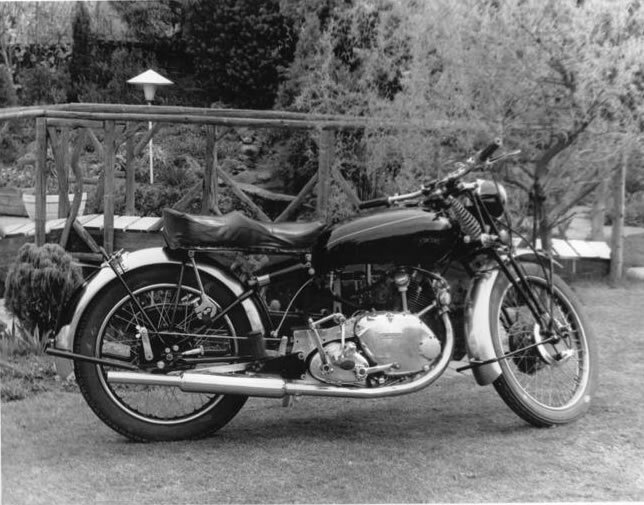 phil vincent sought to produce a machine with a shorter wheelbase than the series a twin capable of sustaining a 100mph for high mileages with exceptional handling and braking, a high level of rider comfort and good accessibility for maintaince. 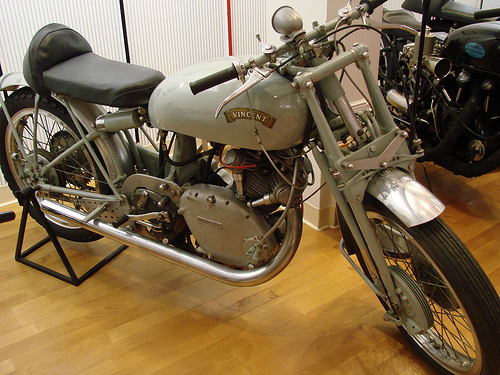 that he achieved those goals with the introduction of the series b is now a matter of historical fact and the innovations employed to achieve them still influence motorcycle design today. 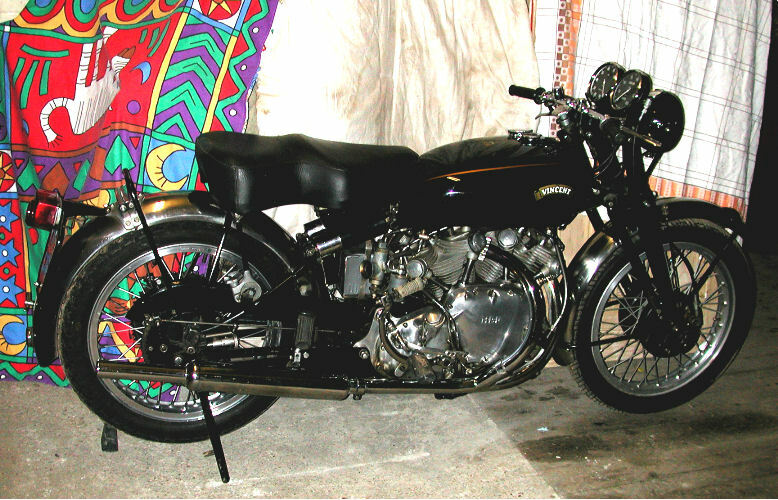 in order to reduce the wheelbase and retain the vee-twin engine configuration with its attendant advantages, phil vincent dispensed with a conventional frame and utilised the engine and gearbox unit as an integral part of the structure mounting the headstock directly to it. 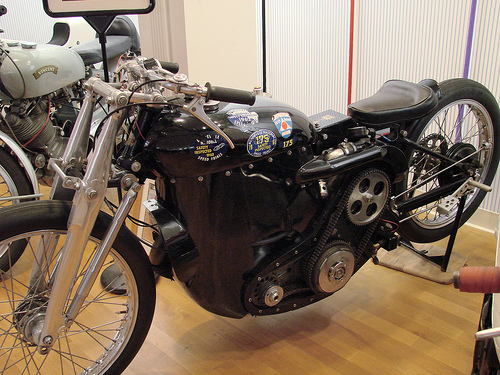 a steel oil tank formed the backbone of the machine and provided a mounting point for the cantilever rear forks suspension units. 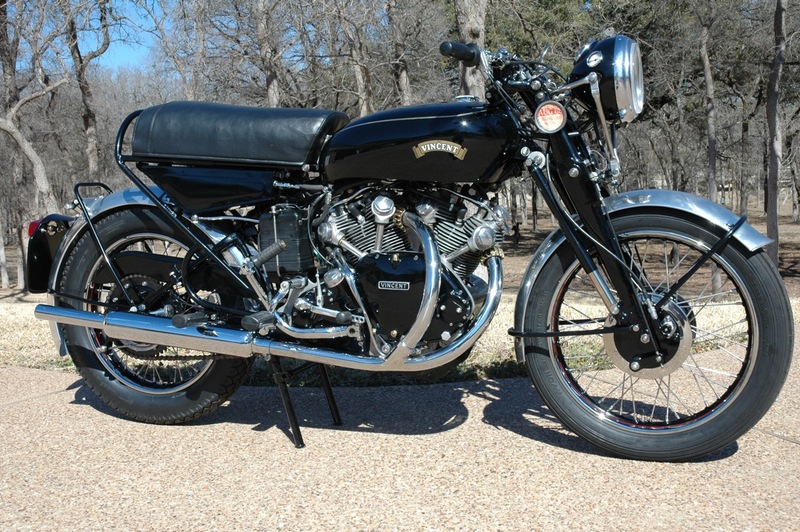 image provided by www.classic-auctions.com. 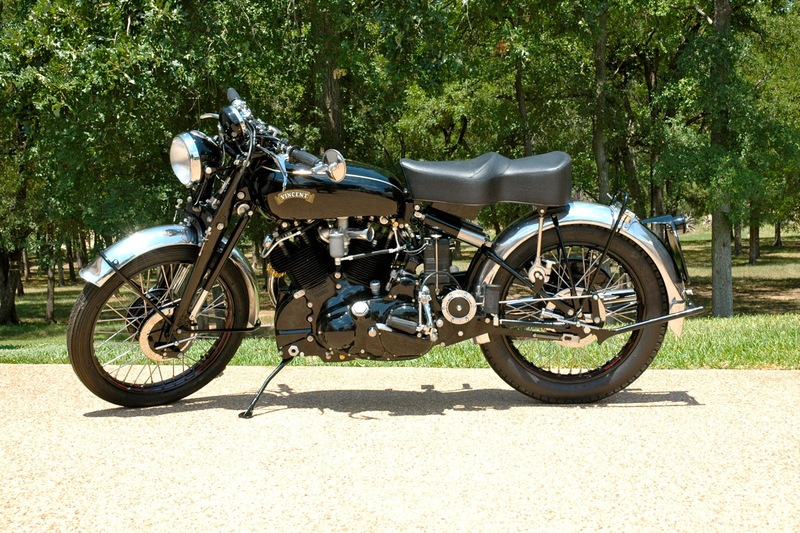 the vincent black shadow is perhaps the best-known classic high performance motorcycle of all time. 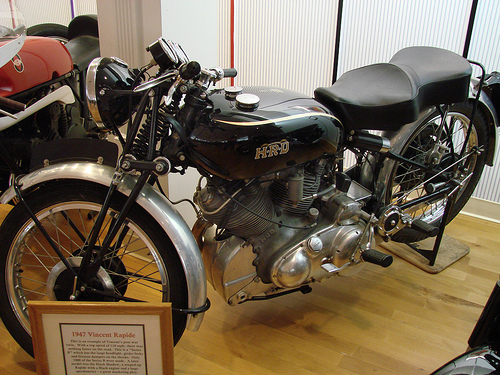 the c series was introduced in late 1948 by vinceent hrd, a biritish motorcycles manufacturer. 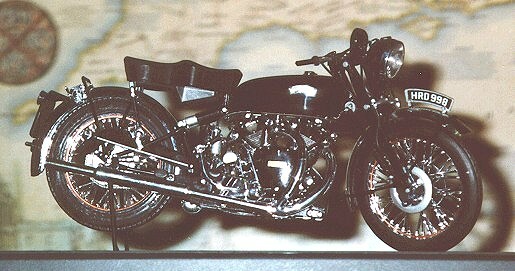 every one of the black shadow built (roughly 1500) were hand-assembled, and one can only guess how many are still intact. 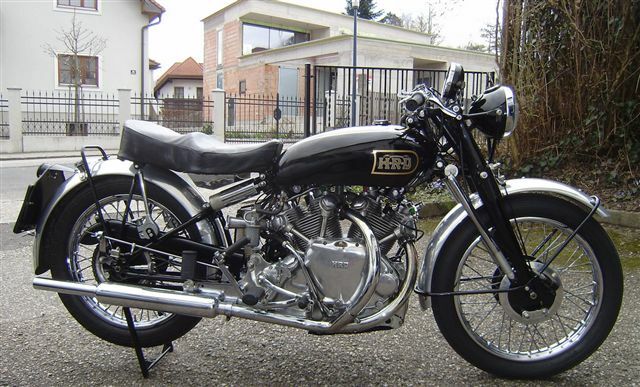 built 1949, registered 1950. All matching numbers. 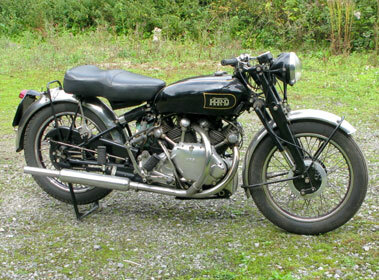 This is one of 3 that was sent to Jordans of Hull (motorcycle agents) in 1950. As far as we know there very few of this model remaining and would be interested to hear of any other remaining B series Meteors. 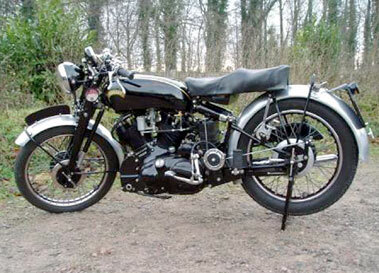 the pre-war series a rapide offered a level of performance unrivalled by the vast majority of its rivals, however the vee-twin engine configuration resulted in a long wheelbase endowing the machine with slow, albeit stable, handling. 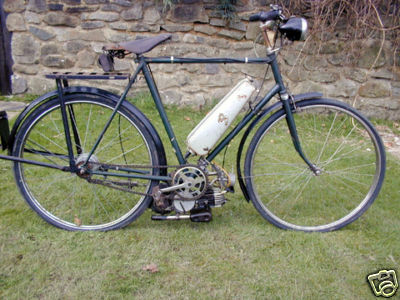 the stevenage based company promised a revised model in their wartime advertising that would address this issue together with the cluttered appearance of the engine due to the external oil lines that gave it the plumber's nightmare nickname. 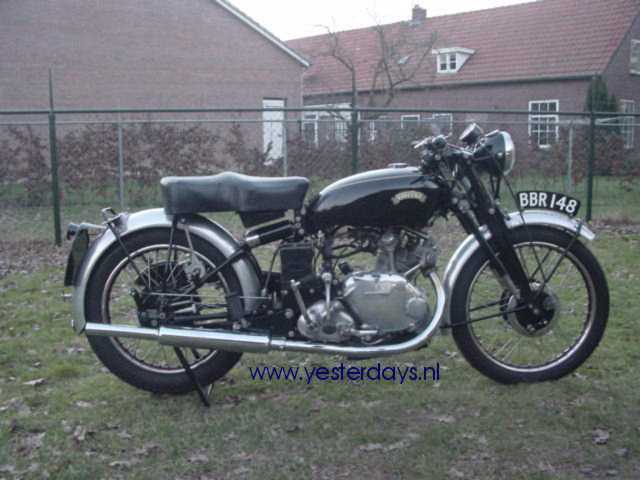 the result was promised to be fast, capable of cruising at 100mph, with exemplary handling and braking, a high degree of rider comfort and easy maintenance. 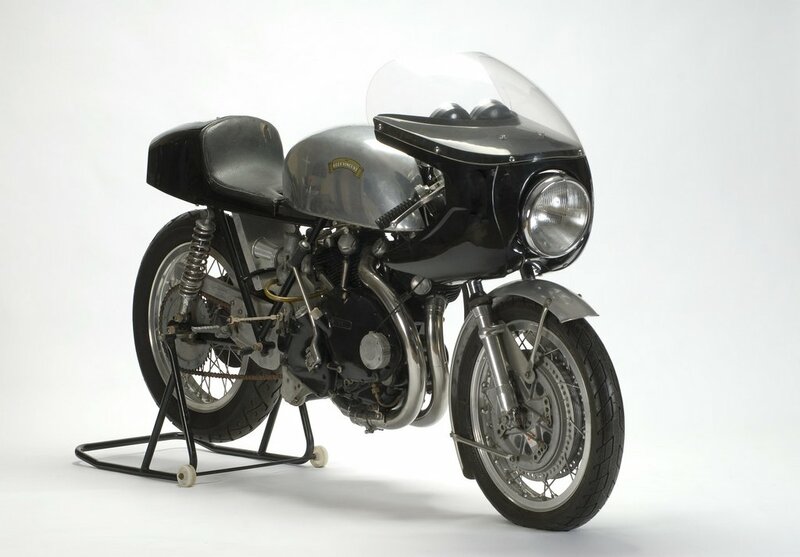 image provided by www.classic-auctions.com. 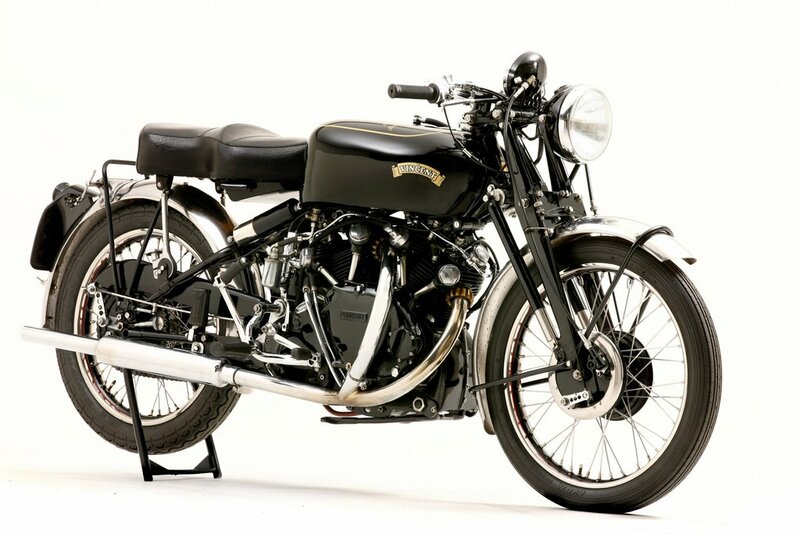 vincent, however, made hand-built motorcycles that were exclusive and expensive. this was a big problem. 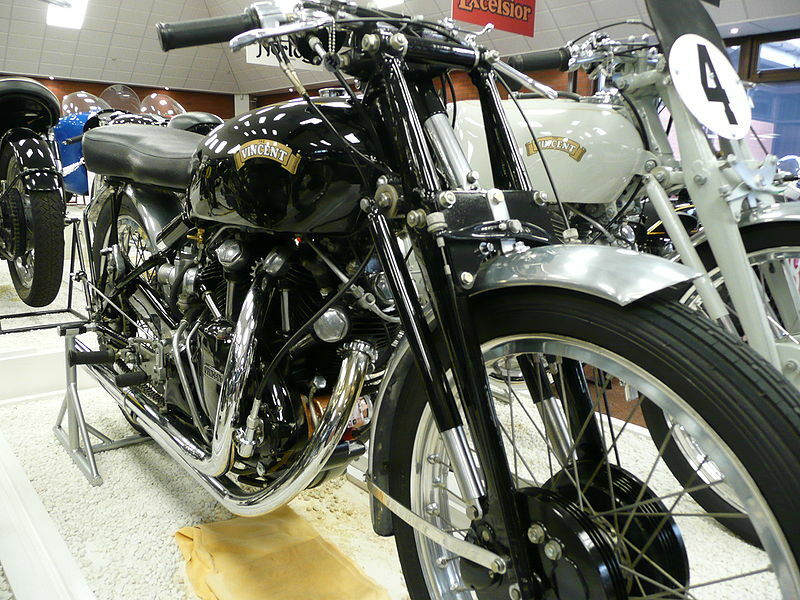 only 11,000 of their superb machines were sold between 1945 and 1954. the company had to try different ideas to revive their fortunes. 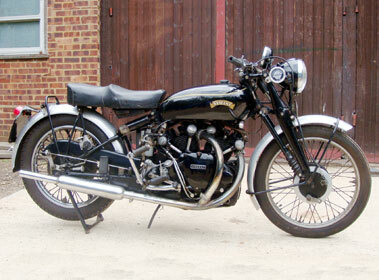 in 1954, they built nsu fox motorcycles and nsu quicklys under license for sale in great britain. 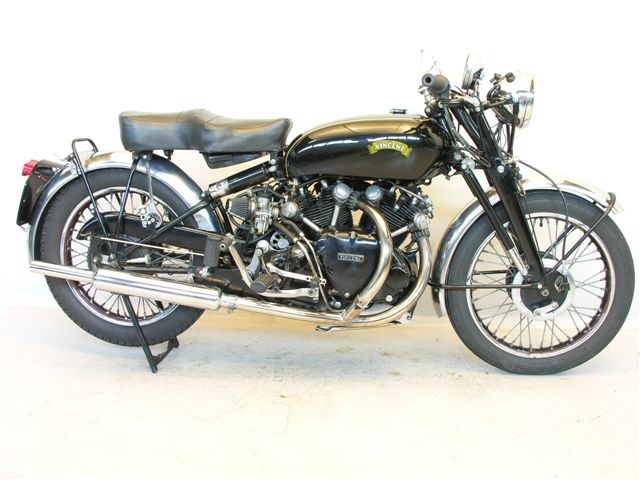 1950 was marked by a high point in sales for the Vincent marque with 2800 examples leaving the factory, however, by 1953 sales had fallen to a little over 450 machines. 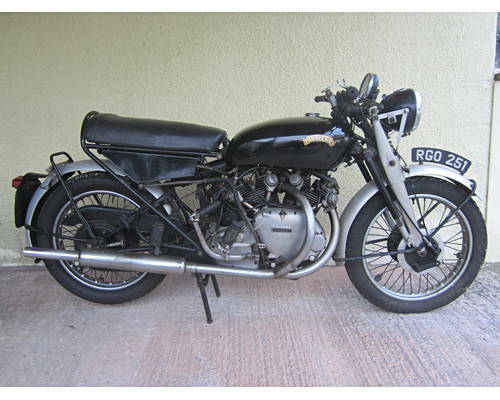 This decline in sales was responsible fro the development of the Black Prince and its sister machines the Black Knight and Victor single. The company recognised that the technological advantage that their products had enjoyed for a number of years was being eroded. 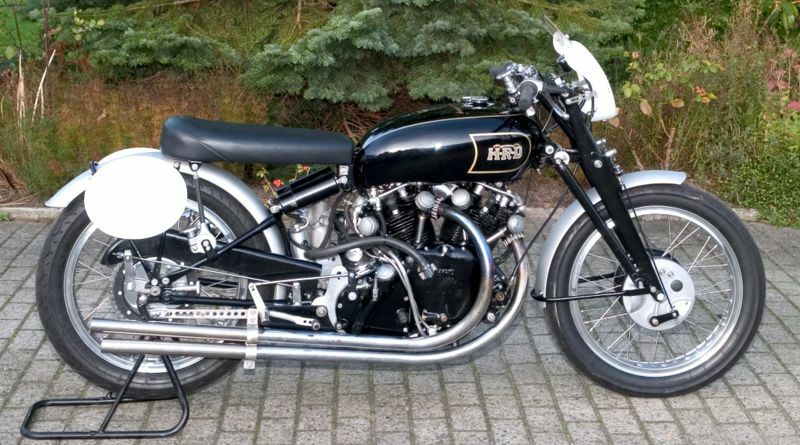 Rear suspension had become common place with all of the major manufacturers offering it in one form or another, electrical systems had improved greatly and the introduction of 650cc twins had blunted the Vincent's performance advantage. 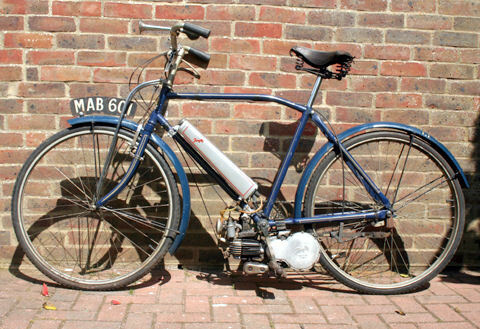 Further compounding the problem was the increasingly dated styling of the Stevenage product when compared to the integrated appearance of the products emanating from Meriden, Bracebridge Street and Small Heath, which were also considerably cheaper. 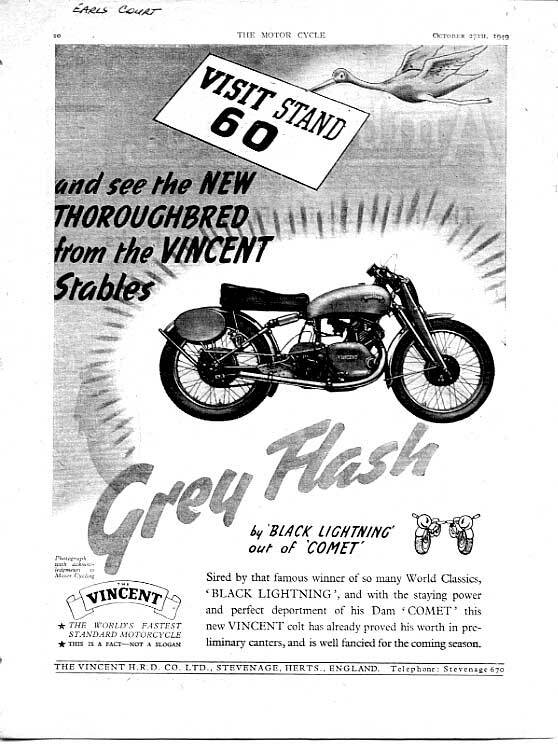 Phil Vincent recognised the need to revise the range but sought to do so in such a way that would maintain the Vincent's position as an innovative machine, built to an excellent standard appealing to the discerning rider. 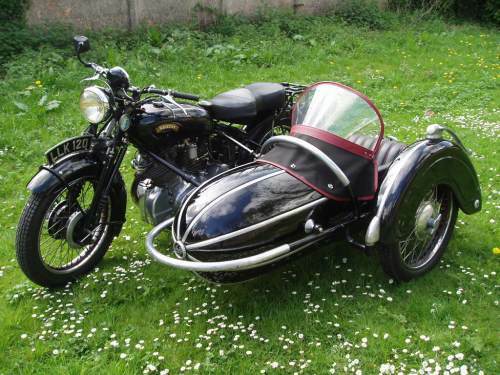 Image provided by www.classic-auctions.co.uk. 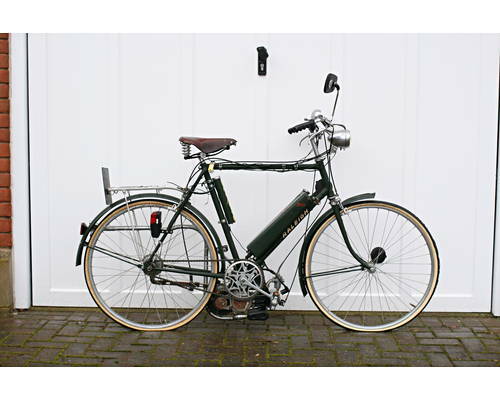 Vincent Firefly & Phillips frame. 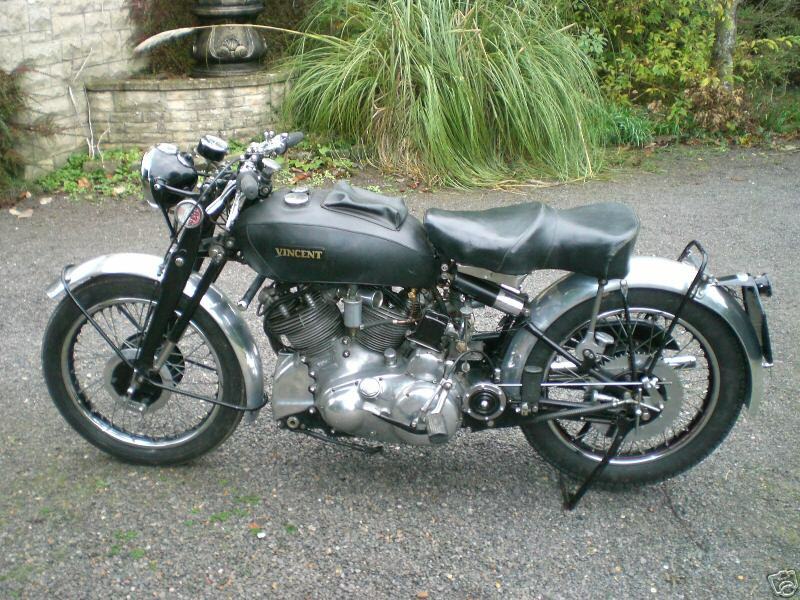 The Vincent Firefly was only manufactured between 1953 to 1956. 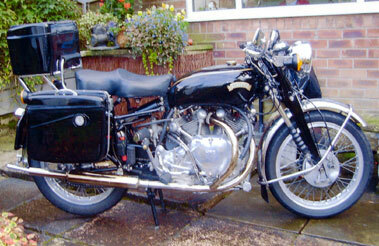 In the first year it was supplied as a cycle-attachment engine kit only. 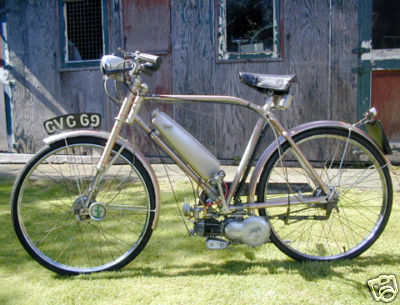 When fitted to a specially made Sun bicycle, in 1954 and 1955, or this type of Phillips frame in 1956, it was known as a Vincent Power Cycle. Image kindly provided by www.buyvintage.co.uk.